Shop multiple local stores all at once for the biggest selection of beer, wine and liquor online. Compare prices instead of being locked into one non-negotiable cost. Snag exactly what you want and get your alcohol delivered. You can have everything else in your life at the touch of a button (hellooooo, food delivery), so why walk into the store to shop for beer, wine and liquor? And then settle for whatever they have and pay whatever they say? Drizly gives you options. KEY FEATURES + Largest Selection: See thousands of beers, wines and liquors by shopping multiple stores at once. + Price Comparison: Finally know exactly which stores in your area have the best prices. 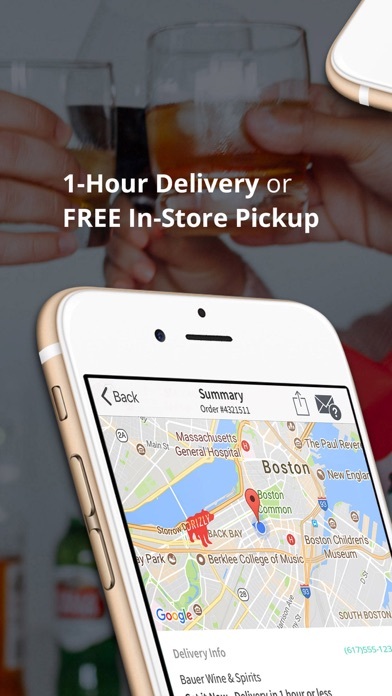 + Alcohol Delivery: Need it now? No problem. Where available, the store will deliver the goods within an hour. + Shipping: Not in a Drizly city? We offer 2-3 day shipping ANYWHERE in the states of California, Colorado, Connecticut, Florida, Illinois, Massachusetts, Minnesota, Missouri, New Jersey, New York, North Carolina, Ohio, Oregon, Washington, and Washington DC. + Easy Payment: Conveniently pay with your credit card in the app and show ID upon delivery. + Top Shelf Service: Our outstanding customer support team is always ready to help out if you run into any issues. 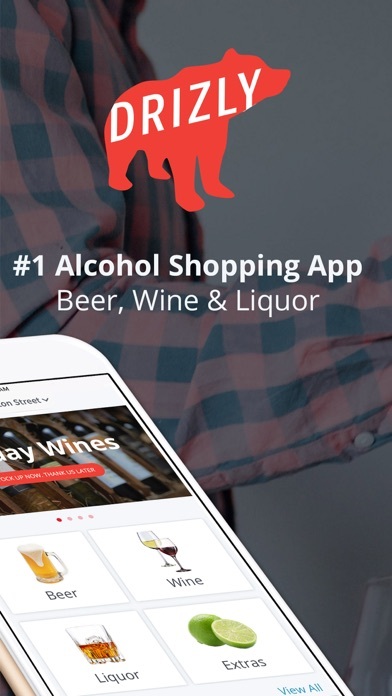 THE LARGEST LIQUOR STORE IS NOW IN YOUR POCKET At Drizly, we work with local stores around the country to make shopping for alcohol way easier. Go ahead. Shop for your favorite bourbon, vodka or IPA. Heck, you can even get ice. We work directly with the local stores you already know and trust and they deliver your beer, wine and liquor where and when you want it. 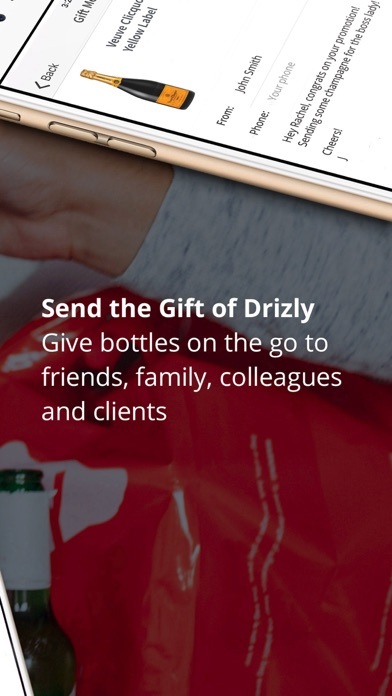 WHEN SHOULD YOU USE DRIZLY When it comes to the best way to shop for alcohol, Drizly has you covered. Order your drinks online and the store brings them to your door ASAP. When might that come in handy? We can think of a few scenarios. + Drinks running low at your dinner party or office happy hour? The party doesn’t have to end early anymore. + Missed a friend’s birthday? Send a bottle. Who says no to a champagne delivery? + Need beer for poker night or the big game? Save yourself from running yet another errand. + Traveling for work? Never sink to the lows of the hotel minibar again. + Trying to locate that hard-to-find item? Check multiple stores without taking a step. + Now? Sure, why not. CURRENTLY SERVING Drizly is now in more than 100 cities in North America across the following states: Arizona, California, Colorado, Connecticut, Florida, Hawaii, Illinois, Indiana, Kentucky, Maine, Maryland, Massachusetts, Minnesota, Missouri, New Jersey, New York, North Carolina, Ohio, Oregon, Rhode Island, Tennessee, Texas, Virginia, Washington, Washington DC, Wyoming. Visit drizly.com/cities for most up to date coverage maps. *Also available in Calgary, Edmonton, and Vancouver, CA. If you don’t see your city, sign up to be notified when we come to your area. More cities are constantly being added so, fingers crossed, hopefully it’ll be soon. Must be of legal drinking age to order from Drizly. Obviously. I live in the suburbs of Indy and you can’t get anything same day. Horrible app, no point. Blanton’s Bourbon in 30 minutes?! Shut! UP!!! When the wife and are are watching a show and already finished a bottle but want another great way to get it without risking drinking and driving. Always super quick delivery for us. Faster than a pizza. Want alcohol delivered? Care about it arriving when promised? Don’t use this app. We ordered from them, got a random bbq sandwich delivered (seriously, couldn’t make this idiocy up). 2 hours later, almost 3 hours from when we ordered, after the kids were in bed, the doorbell rings and it’s the delivery. Still haven’t been able to get a response from their customer service. Obnoxious. Items come fast and cold. Prices are reasonable although you do pay for the convenience but that’s with everything in life. Totally recommend it. This platform is amazing for people who live in the city, don’t own cars, and don’t have a lot of room to store large quantities of the happy drinks. Drizly is able to reliably deliver it to your door at just a bit higher prices compared to if you had gone into the store itself. Life saver! Thanks so much! App is slow, often freezes. Uber, postmates, etc. are probably going to come in and destroy them unless they improve the customer experience. I live in the largest metro area in the country and no deliveries are ever available in my area. The app doesn’t let you order just from one store. Like a particular wine buy it from store A and pay delivery. Like another variety of wine buy that from store b and pay another delivery charge. Why can’t I see all listings from one store on a page. App is not sync with the stores inventory. Ordered stuff twice only for the store to call back and tell me the items are out of stock. Then I have have to log a ticket to cancel the order, why can’t the store do it if they don’t have the items in stock. Joke of an app and service! This app has been fueling my alcoholism for years. I highly recommend it. Love that I can order wine for friends who live far away, and for myself when it’s one of those days. Delivery drivers are courteous, and very quick. Highly recommend! Delivered in our area for like 3 weeks but apparently doesn’t anymore and still sends emails and texts multiple times a week. I tried to order twice, on two separate cards, but both times was cancelled due to “payment error” even though my cards were charged. Love the simplicity however they always quote within the hour and it’s always been longer. Still a great service! [TL;DR] Drizly is one of the best innovations to come along since mankind invented the wheel, the television, and even the microwave! Drizly in a nutshell: - Excellent concept (They can make Beer Appeareth); - Excellent Application Features (Great Search Options); - Excellent Application Design [to me] (This Apps’ User-Interface represents the pinnacle of Human-Device interaction); - Excellent Customer Service (See my full review) Verdict: 10/10 (This app is one of the best in existence) Now for the full version Wow! I have been using the Drizly app for about 6 months now and have never been disappointed. Pros: - Very easy to use/intuitive User Interface - Very easy to make changes to account/address/payment information (I have good friends who have a lake house and I regularly order to both their address and my own seamlessly) - Great selection from several different stores (and growing) - Excellent search filter options and tools for presenting products in an organized manner to help me both find exactly what I’m looking for when I want it while also allowing me numerous options to browse when I am not sure what I want. - Polite, efficient delivery drivers who are courteous to my neighbors by never blocking their driveways and finally, the reason to that got me actually writing this review - Superb customer service! 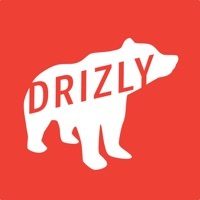 Like actually though, the team behind Drizly is amazing! I had a question regarding an order and I was able to ask it directly through the built-in ‘ask- a-question’ app feature just as though I was sending a text message. I received a detailed response addressing my question in under a minute that handled my issue directly which was written by a HUMAN BEING. 11/10 for Drizly’s Customer Service team’s amazing work! Cons: - One minor con I have is that there is no in-app system in place (yet) for Drizly’s parter stores to indicate that they have run out of stock of an item. This is a minor complaint though since I have only had a store not have an item in stock on less than a handful of times. [Given the nature of how Drizly works through operating with numerous partner stores (of which many probably use their own custom inventory- tracking system), the logistical nightmare behind implementing such an App- wide feature makes its absence understandable] One last point: - A Major Con is the fact that modern 21st century science STILL hasn’t figured out the voodoo black-magic secrets behind the mystical art of inanimate-object-teleportation- fields which could be built for instantaneous transfer of goods (such as beer) to arbitrary locations in space (such as my fridge). This means there is an (albeit very short) wait between when I first place an order and when it arrives*. [Actually, based off my experiences with the amazing features provided by Drizly, it would not surprise me if this was a feature they were actively working on!] 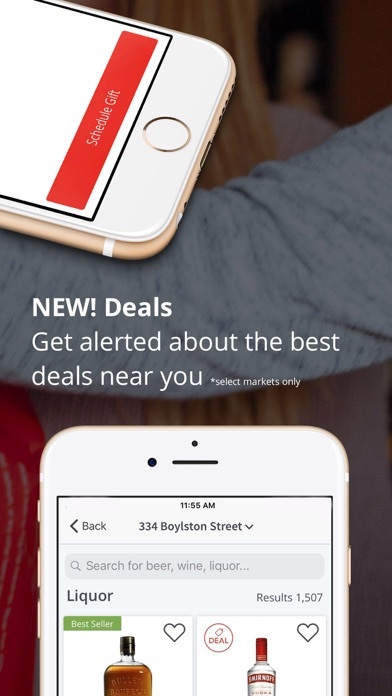 (*Note on wait times: Drizly [in my experience] has always been incredibly punctual, always arriving in under half the time it would have taken me to go to the store myself, even when the app claimed it was peak hours! [Like on a sunny Friday evening] ) Well there you have it, if you are still reading this [and over 21 in USA] then what the heck are you waiting for, download Drizly now! The first time I ordered at 8 o’clock because that was the opening hours listed on the app. It said estimated delivery time 35-50 minutes, which sounded fair to me. Almost two hours roll by, so I contact support via email, Facebook, Twitter, to no response. So I finally call the store and the clerk says “oh, our driver isn’t going to be here until 12:00.” Well that would have been nice to know since it charged my account before the order AND placed a tip. The store owner gave me the direct number to their customer service line since it’s not listed in the app. It’s 508-466-7954, by the way. I had to cancel and it took them 3-5 business days to refund my money back to my card. The second time, I watched and waited outside as the app told me the order was en route, and waited and waited, with my specific address and apartment number and detailed notes on how to get to my home, and the app all of a sudden says “delivered.” I’m standing outside waiting and they’re supposed to CHECK FOR AN ID. They gave my order to a random person and I had to pay for it. So I call the BevMo to ask if they know anything about the driver, and they tell me I have to contact Drizly. So I do that again to no response. Luckily I still had the number I got from the first store owner and called. They told me it was delivered. I explained I’ve been waiting outside and got no phone call, and don’t have my order. They said they sent a person from Door Dash so I would have to contact Door Dash. Oh no. Not today. The lady at Drizly said she would reach out and try to send another driver and get back to me. It’s been 45 minutes now and I still haven’t heard anything. These people are so unorganized it’s embarrassing. Huge waste of time and money. Do not use this app. Stick to Postmates. I’ve never waited more than 30 minutes and my order has never been wrong. There was a blackout at my liquor store and they couldn’t get to me and Drizly gave me a discount on my next order. 👍🏻👍🏻👍🏻👍🏻 amazing. I was happy with the overall service however, my credit card got compromised. So when it ask to scan your card, meaning take a picture of it Don’t!!!!!! That’s the only way possible my card could have been compromised. It asks for a photo of both the front and back, zip code and mailing address. Wish I could use both store and category filters together, e.g. only view beers from store x. Instead, when I choose a store (in order to avoid a split cart), I have to view every item from that store with no filter and in no particular order. Also wish I could choose stores based on delivery time at the outset of the shopping experience. This service is the best. They’re always quick and friendly. My order was messed up only once and they rectified the issue quickly. Big Red Liquors cancelled my order. I had a party going and we were completely ignored by Drizzly. Two stars only because of past transactions that were good. Highly recommend a different app. I deleted this app within 10 mins of getting it. Tried to order some wine and it kept telling me “no stores are available.” Now I know for a fact we have at least 3 in my area that as open and sell wine. So, not sure what this was about. The app told me I could get it “shipped” to me in a few days. Ok. No thanks. I’ll just go get it myself and be back in 10 mins. Don’t waste your time with this. I had to rate one star but let me tell you it should be -1 star. Nearly every delivery I have placed has been late. One order took 3 hours. They claim to have hour delivery. They will give a 5 or 10 dollar credit if issues arise & customer support doesn’t forget to add it. I ordered three bottles & the payment went through & nobody ever came. I never spend $100 on alcohol. It would be great if I could get a bottle of tequila without buying multiple other things to make the $100 minimum. The only stores near me require $100, and I’m in a pretty metro area. Just ridiculous. I suppose that’s on the stores. Hopefully more than those two will become available with a lower minimum. Also, none of the products I looked at could be delivered now. Everything was “get it later.” That’s useless. I may as well drive to the store myself. To be convenient enough to use there needs to be more stores with a lower minimum, and at least some products that are available for immediate delivery at 7:00 pm on a Friday. I was initially excited about this app but seeing as how it’s absolutely useless to me, I’m giving it one star. If these things improve, I’ll update my rating and review. Servicing merchant has now "sold" me something they don't have - THREE TIMES IN A ROW. The merchant blames Drizly and vice-versa. And Drizly was not helpful in getting my money back on any occasion: the first two times, they promised a reversal of charges but never did, so I had to call my bank and contest both charges to get my money back. I'm starting with the bank this time, but I will never do business with Drizly or the merchant ever again. So I’ve used this app once, and it works great. You can find any kind of booze near you, and the delivery folks are great. But there is one problem, and it’s not even with the app. If this was actually Drizly’s fault, I’d probably rate it 1-2 stars. Since it’s not, I won’t penalize Drizly for it except by one star. All the liquor stores charge a $50 minimum. FIFTY DOLLARS. This is insane. I’m not an alcoholic. Usually when I want to order some alcohol, I want a $8 six pack of beer, a $20 bottle of wine, or a $25 bottle of liquor. But who actually buys $50 or more of booze at once?! If you do that, you’re either an alcoholic or you’re buying some super fancy French champagne. 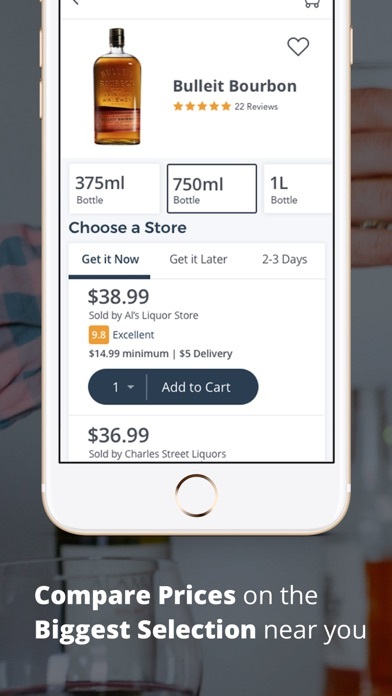 Like I said, I know this is the fault of the liquor store charging this minimum, not Drizly’s, but it still renders the app impractical. They actually charge double than the “final” price shown before you place your order. Then once you place it it’s not instant like you would think with something like DoorDash or Ubereats. Nope, it takes at least a day. Then once you realize it takes that long and that it’s that expensive and cancel your order it takes at least 3 days to get a refund (if you actually receive one that is). You don’t need to pay $30 for a 6 pack of beer just to maybe receive it in a day. So for months we could get delivery from your app. Lately that has not been the case. I completely appreciated your services before but whatever is going on in our area where you can not deliver to us is ridiculous. Fix the problem and service the areas you boast you can deliver to! Seriously this app and their team totally care about the user. I had some incredible customer service with the quickest response rate from the team. They were fantastic in finding a quick solution to errors with my order and even went the extra step to cancel a second order that was pushed through when the original failed. OUTSTANDING! In the beginning drizzly was really a great service. But in the last 10 days it seems like they’ll deliver whenever they feel like they’re ready, and my last delivery was Tito‘s vodka, and I had ordered Dewars scotch. Scratching my head how can you be that incompetent?!? I’m done with this app! Highly recommend....great service. I highly recommend.